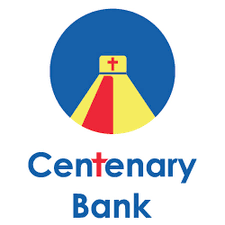 Centenary Bank, which started as Centenary Rural Development Trust Limited and Christ the King Parish are in trouble for allegedly de-registering one of the minority shareholders, the late businessman Robert Byaruhanga who died in 2001. 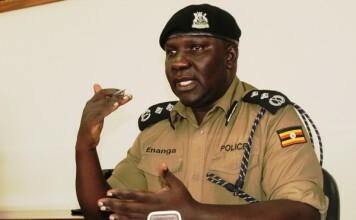 The plaintiff, who is the administrator of the late Byaruhanga’s estate, has dragged the bank (2nd defendant bank) and Christ the King Parish of Kampala Diocese (1st defendant), praying that court; declare the late Robert Byaruhanga a member and shareholder of Centenary Rural Development Bank (CRDB) Limited; that the defendants’ actions are oppressive to the late Robert Byaruhanga as a minority shareholder. The plaintiff also wants court to issue an order directing that the late Robert Byaruhanga’s name be registered into CRDB’s members register. 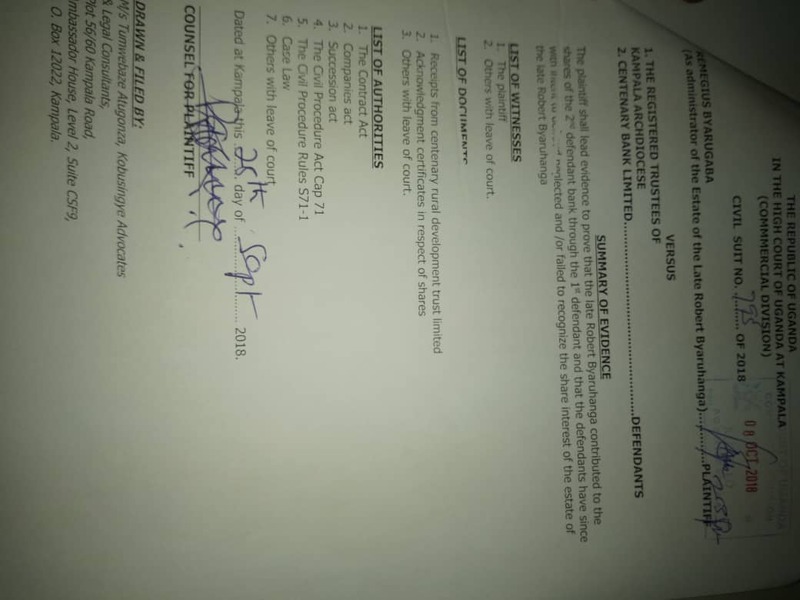 It also seeks special damages, general damages and that punitive measures be taken against CRDB and Christ the King Parish for their illegal actions. The suit also wants interest paid, cost of the suit be awarded and any other benefit deemed by the court. 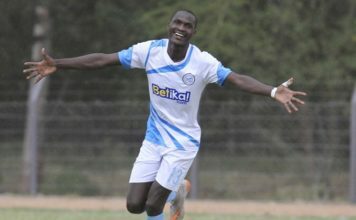 The plaintiff believes top officials running the CRDB omitted the deceased’s name as member of CRDB Limited so as to benefit at his expense, a move he says is tantamount to a fraud and breach of trust. The plaintiff is also disturbed that he has never been informed about the affairs of the bank or given dividends and that he has been excluded from company meetings. He cries he has suffered inconvenience and loss. 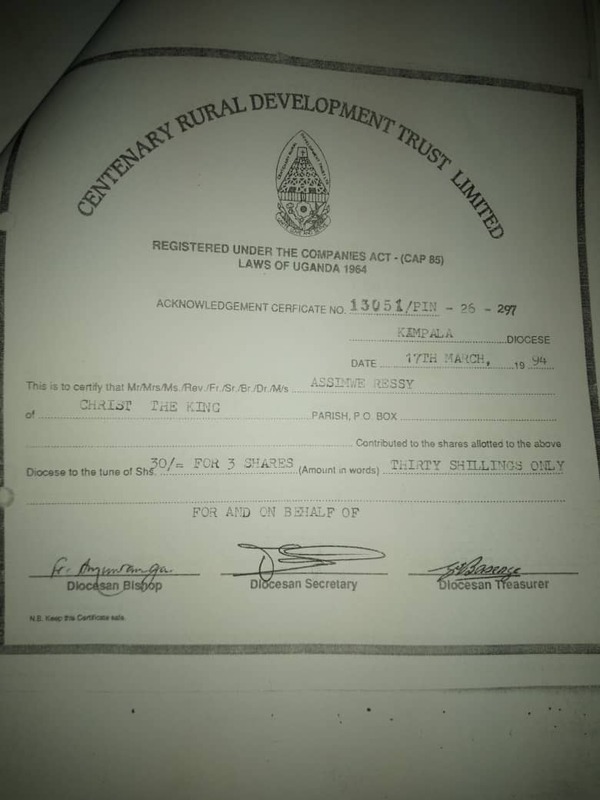 According to the court document of which Eagle Online has accessed a copy, the late Robert Byaruhanga got the interest of buying shares in the then Centenary Rural Development Trust when in 1986, Kampala Archdiocese, a Roman Catholic Diocese of Uganda, invited its laity, who included the late Robert Byaruhanga, to acquire shares in the company that was under Christ the King Parish of Kampala Diocese. The document shows that at the time of buying shares, the late Robert Byaruhanga was operating businesses under the names and style of Euroseas Trading and Dress Making and Rwere United Traders. 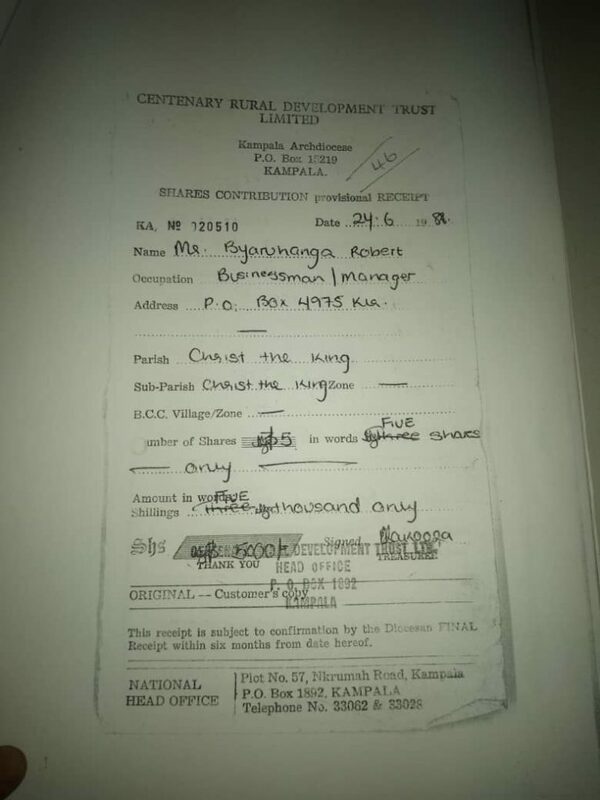 It says between 1987 and 1988, the late Robert Byaruhanga made different payments for different number of shares in the names of Euroseas Trading and Dressing Making Company, Rwere United Traders, Robert Byaruhanga, Asiimwe Resty, Besigye Michael, Fifi Byaruhanga, Remegius Byaruhanga and Bosco Byaruhanga. 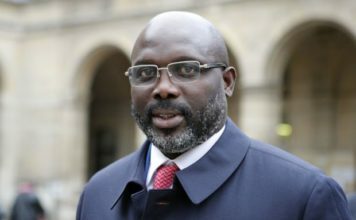 He was issued with receipts of about 4900 shares as well as acknowledgement certificates, according to the document that has annexes. “Upon the demise of the late Robert Byaruhanga in 2001 and upon grant of letters of administration the estate, the plaintiff approached the defendants to clarify the deceased’s stake in the second defendant bank (CRDB) but was told by the 1st defendants office administrator that the subject shares had been devalued and as such there are no known shares entitled to the plaintiff…or the estate of the late Robert Byaruhanga at all,” part of the suit reads.